Olly Mann: Where did you learn to freedive? Emma: I searched for freedivers and found one in North Wales, one in Chester and one in Manchester and we formed a little club , so I traveled once a week to a pool in Chester where I practiced holding my breath – static apnea. And then I also practiced dynamic apnea – which is going backwards and forwards, up and down a pool. Then we trained depth in a quarry in North Wales called Dorothea – which was really quite basic. You’re not really legally allowed go there. We would visit it in freezing conditions, take all our clothes off, lube up with hair conditioner, and squeeze into a wetsuit in horizontal rain. That must show how dedicated I was! Olly Mann: What could you see? Emma: Nothing! I couldn’t see anything! But I think freediving is an internal journey – much more than people realise, so you’re freediving there for the internal experience. But you put those skills into use, when you go to the sea or where I teach in Vobster Quay in the South where they’ve put thousands of fish, they’ve sunk parts of a plane, they’ve sunk boats and cars and you can go and chill out and explore all these things. But those who are competitively freediving, they are diving and they literally can’t see anything, because they’re diving and it’s black because it is so deep. So for them it is about the mental and physical challenge. 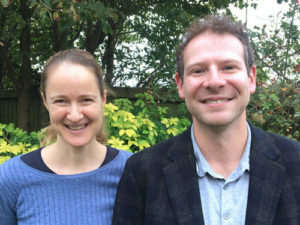 Olly Mann: What is the appeal/challenge? Emma: Freediving is the only sport where you are one breath away from potential death, because you are taking one breath and putting yourself in water. So, for many, many people when they start freediving, the idea of holding their breath and going underwater, something very, very deep in their subconscious is saying ‘no way’ and so when you look at competitive freedivers or people who are starting to explore the limits of freediving they are taking one breath and going underwater. So you really need to have a lot of self control, a lot of discipline and you have to be willing and trust your body and the process. It becomes quite a deep, emotional experience. People’s lives have been completely transformed by learning to freedive. Olly Mann: Is it a good or bad thing to do if you’re a control freak? 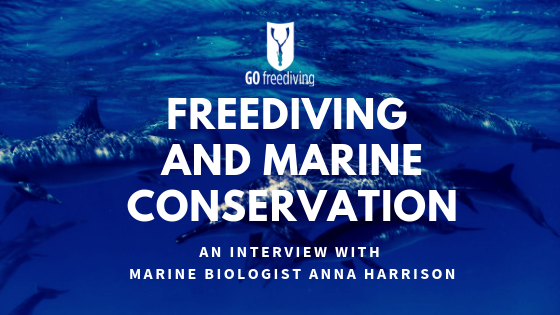 Emma: I am an intensely cautious person and I do like to be in control, so for me, freediving is perfect because all the variables essentially come down to me. I decide how deep I go, I decide how long I hold my breath for and for me, one of the reasons I don’t scuba dive is that I am scared of putting my life in the hands of equipment. Because, of course you are in control of the equipment, but you can’t ever predict when that equipment goes wrong. But with freediving it’s my body – so yes, I have some equipment but if I dive down and my fins fall off I can just use my arms to pull myself back to the surface, and you don’t get the bubbles. With freediving it’s really silent – you can just hear what is going on underwater and you feel a closeness with whatever is under the water with you. Olly Mann: Is it like meditation? Emma: Totally! People think of freediving as an extreme sport, and they think extreme equals adrenaline. But with freediving, you absolutely can’t do it if you are not completely relaxed. If you are excited, you can’t freedive, because you have got to have a really low heartbeat. You’ve got to be so relaxed you could fall asleep. That’s the only way you can successfully freedive. You cannot think of anything else because you’ve got to be thinking about ‘I’ve got to equalise. What’s going on with my tongue, my ears, my mask, finning, orientation to the line, how deep you are going. So even if you only do a dive for a minute that minute can seem like forever. And because you have had to be so relaxed and control your breathing, even before you do your dive you need to be super relaxed. We have had students who have never felt so relaxed, others with chronic back pain and their back pain went. Olly Mann: How do you teach students to breathe? Emma: Students think that breathing is an active process and that you have to do something really special, but that’s the absolute opposite. Breathing for freediving is a passive process. It’s about relaxation. It’s about doing less rather than more. So, all you need to do to prepare for a freedive, is learn to relax and before you go, take one massive breath. However, when people become aware of their breathing they start over breathing and breathe more than they need to and their breathing gets faster and faster and then you end up hyperventilating which removes carbon dioxide from the blood, which is dangerous as carbon dioxide is your body’s main trigger to breathe, so you are taking away your complete early warning system. It also raises the heart rate, so you are increasing the rate at which you burn oxygen. It constricts the arteries supplying blood to the brain and you can actually pass out. It more importantly also makes oxygen bond to haemoglobin in your blood. You don’t have an early warning system, so you feel the dive is easier and think you have more oxygen, but you don’t. Your oxygen is bonding more strongly to the haemoglobin, so you can’t get the oxygen when you need it. So, for your pre-dive breath you need to take a quick deep breath in and then you want to exhale absolutely everything as if you are spitting out every last bit of air. Then to breathe in again you breathe first into your belly, so you need to push your belly out, then into your ribs and then into your upper chest. Olly Mann: So how do I regulate my breath? Emma: Firstly, breathe in and out through your mouth. Put one hand on your chest and the other on your belly. Only the hand on your belly should move. Breathe in really small amounts. It can be useful practice laying on the floor with your knees bent and your feet flat on the floor, because that is the easiest way to practice abdominal breathing. Olly Mann: Do you need extra special lungs for freediving? Emma: I always say ‘freeediving is 99% mental and the rest is in your head. This is because people have no idea what mental journey they have to go on when they freedive. Annabel Briseno is a three times world record holder, but she started freediving in her 50s. Bill Graham, he’s in his 70’s and is a former US Record Holder in 3 disciplines. One of his records [for holding breath] was 7 minutes and 39 seconds. Obviously, there is a lot of training, but there are no special attributes. I have been teaching freediving now since 2002 and have taught lots of people who have gone on to go for world or national records and out of all of those people there is only one, when I first taught them, I thought ‘you’ve got something’ and that was a German Freediver called Anna von Boetticher who is an incredible freediver, but she had absolutely no fear at all and had no equalisation problems and she was very competitive. 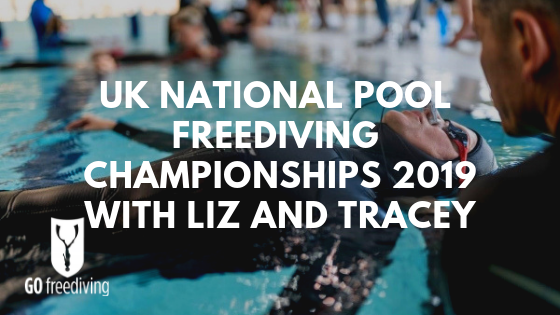 But, everyone else, they were no different to every other student, except they got it into their heads that they wanted to make something of themselves in the freediving world, they wanted to compete and they put the work in. Olly Mann: What is the best experience you’ve had freediving? 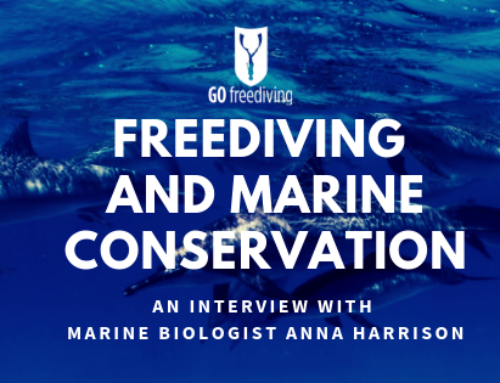 Emma: My funniest competitive freediving experience was in a competition in Greece which was mainly full of Greek men posturing and shouting, arguing and gesticulating about the competition and I had originally said I would just help, but I decided to enter and was the only female entrant. I was preparing by doing some yoga stretches and relaxing, listening to music – and they were preparing by doing star jumps – preparing as if they were about to do a race! I ended up coming second. None of them could cope with this, and the guy that won was a local guy who had a severe hypoxic fit – which is like a black out, so he should have been disqualified, so I actually should have won the whole competition. That was a wonderful experience because it was just so funny! Olly Mann: Are there physical limitations to people who can freedive? Emma: Whenever you do a freediving course, you have to complete a diving medical form beforehand. If there are questions there you answer yes to, you have to visit your GP to confirm you are ok. But once you have done that you can freedive. There are some physical things that affect your ability to freedive comfortably and one of those can be a beard, or stubble due to the issue trying to create a seal with your mask. So, for those students we tell them either to come clean shaven or bring a tub of vaseline!